Today we received a call from Berg Adventures guide Nuru who said that the team has arrived safely in the small village of Gorak Shep which is the last settlement before Everest Base Camp. He said that Leo is relaxed and happy. 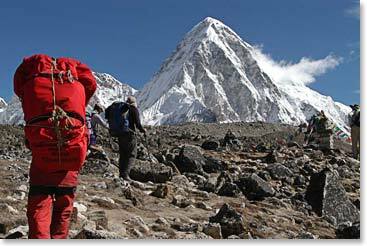 Tomorrow they plan to travel to Everest Base Camp. Leo now has three full days before the marathon to acclimatize, explore, relax and get to know his fellow runners.